You’ve heard it more than once: “Exercise, it’s good for you!” The benefits seem endless: enhanced heart health, weight control, improved mood, muscle strength and tone, increased bone density, and the list goes on. For some, that’s all they need to hear. Whether they love it or hate it, they exercise faithfully. But if you need an extra push, one more incentive, that carrot dangling at the end of your treadmill to get up and start moving, here is one more reason. And listen up, because not only is it fascinating, but it also relates to your hearing. Exercise is great for your ears. 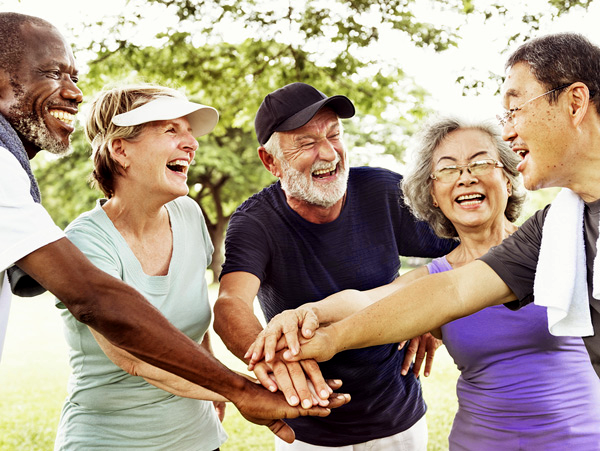 You heard that right — a regular and meaningful physical fitness plan can help you keep the hearing you have longer, and possibly lead you to “beat the average” for hearing loss due to aging in the industrialized world. The ear is a complicated organ, and if you’ve had any hearing loss you know it’s something you want to protect. Like any part of the body, the ear needs a good flow of oxygen-rich blood. That’s achieved by an eating plan high in healthful foods that keep your entire cardiovascular system in good shape. But good blood flow is achieved not only with a healthy diet. Regular, consistent, aerobic exercise keeps blood flowing to all your body parts, your ears included. This type of exercise means getting your large muscle groups active: walking, running, bicycling, hiking, swimming, etc. for 20-30 minutes a day, at least five days a week. Vigorous and sustained activities also include pursuits that many enjoy, such as gardening or playing sports. You may assume that gradually losing your hearing after the age of fifty is inevitable, but medical evidence shows a much more positive outlook. So remember that improving your diet, your lifestyle and your exercise habits reduces your chances of heart attack, stroke and diabetes, while helping to preserve your hearing. For more information about hearing loss prevention, contact the experts at The Hearing Solution, conveniently located in the Campus Commons area of Sacramento.